Katie Pounders, University of Arkansas Sam M. Walton College of Business, joins us today to discuss their Online business program (s). Can you tell us about the online business program (s) offered at the Sam M. Walton College of Business at the University of Arkansas? The Walton College began offering a start-to-finish, online degree in general business in the fall of 2014. The program follows a traditional pattern of 15-week fall and spring semesters. Two five-week sessions of summer classes are also available, and students have the option of taking select self-paced online correspondence courses as well. Students study all facets of the business industry (accounting, economics, finance, information systems, management, marketing, retail, and supply chain management) in this program rather than being limited to a single discipline. This is an excellent option for the working professional who never attended or completed a college degree and is looking to advance their career. How long does a typical online business program take at the Walton College? What is the maximum and minimum time of completion? The program is structured to be completed in four years; however, students can progress at a rate that is feasible for them. While some may take a typical 15-hour course load each semester, the majority of students take three or four classes per term, which translates to 9-12 hours. There is no written maximum completion timeline in place. Students who leave and return to their program may be subject to updated catalog requirements. What do you think makes the Walton College online business program stand out from other online business programs offered by similar schools? By studying at the Sam M. Walton College of Business at the University of Arkansas, students have the opportunity to earn a bachelor’s degree from a top-ranked, accredited business school. The Walton name is also recognized by employers on a global stage. Our coursework is constantly evolving to provide students with the most current knowledge based on emerging industry concepts and practices. 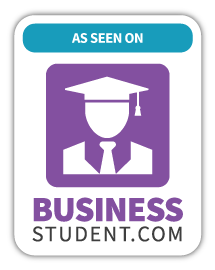 How important would you say accreditation is when choosing an online business program? Accreditation should be a priority when choosing a business school. Achieving accreditation as a business school is not easy. Accreditation affirms the value the institution places on education and the quality of the graduate’s degree. What are the advantages to earning an online business degree in general and where are you seeing employer demand for this degree? Being able to complete a bachelor’s degree online affords my students the freedom to continue their professional and personal life without disruption. They don’t have to relocate to a new city, attend class in person at all hours of the day while working part-time. Online programs give working professionals the opportunity to further their education without sacrificing personal obligations such as work and family. Working professionals often see a degree as a path to promotion. The current norm in business suggests a bachelor’s degree as the new “minimum qualification” for many entry-level positions. Does the Walton College offer job placement for students who graduate with an online business degree? While job placement assistance is not a direct part of our program, the Walton College possesses a fully-functioning career center. Walton Career Services works directly with all business majors to discover internships as well as part-time and full-time employment. Students can utilize a number of services through WCS including resume reviews, interview prep, and salary negotiation. What type of financial aid packages are available for students in business? Are there any fellowships, grants and scholarships available? Business students can qualify for various forms of financial aid, scholarships, and grants through the University and external parties. Do you have any advice for students enrolling in an online business program for the first time? Use and embrace your first few semesters as a transition period. As much as you might want to “hit the ground running” and finish your business degree as soon as possible, you need to find the course load that works for you. Not everyone can take five or six classes each semester. Give yourself grace to finish the program at your own pace – a pace that will allow you to succeed. What do you enjoy most about your position at the Walton College? I believe I’m in a unique position to work closely with students in all stages of life. As the Assistant Director for Online Programs, I am the primary advisor for all students in our online program; however, I also meet with students enrolled in on-campus programs. Student ages range from the teens to retirement-age. Needless to say, I hear a number of life stories, and I get the opportunity to experience each student identify their “why” for furthering their education. Some, like many of the online students, know their “why” before they even apply to the University while others, like most students straight out of high school, need time to discover their “why” and often do as a junior or senior. While I am in a position to help students understand the importance of being independent and taking ownership of their education, I learn a great deal of valuable life lessons from each of them. Thank you Katie Pounders, for sharing and participating in this piece. 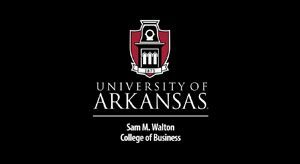 For more information on the online business programs offered at the Sam M. Walton College of Business at the University of Arkansas visit them online. The university’s Sam M. Walton College of Business is ranked No. 1 nationally in percentage of MBA students employed at graduation while the University of Arkansas School of Law was recently ranked as the best value in the country by the National Jurist preLaw magazine.